Working at Upsher-Smith Laboratories, Inc.
As a growing generics and branded pharmaceutical company, we offer challenging careers and opportunities for personal and professional growth in an array of areas. We are committed to the dynamic and ongoing training and development of our most important asset – our employees. We offer positions in quality, project management, medical affairs, human resources, analytical development, pharmaceutical development, operations, technical services, engineering, marketing, sales, legal, clinical, regulatory, IT, and finance. With these opportunities come a full range of employee benefits in an environment that is challenging, stimulating, and rewarding. Upsher-Smith volunteers each year to help make Camp Oz a success! 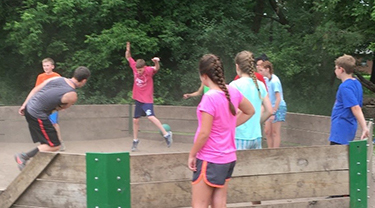 Hosted by the Epilepsy Foundation of Minnesota, Camp Oz combines a traditional camp experience with the security of a 24/7 medical staff for boys and girls ages 9-17 who live with seizure disorders. Upsher-Smith also served as an In-Kind Sponsor. 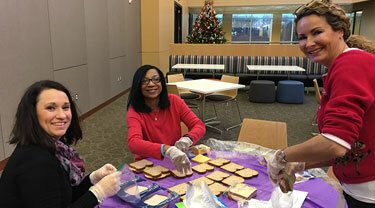 The Upsher-Smith sales team helped the local needy over the holiday season by preparing 750 sandwiches. These meals helped more than 7,000 Twin Cities homeless adults and children by the nonprofit organization 363days.org. 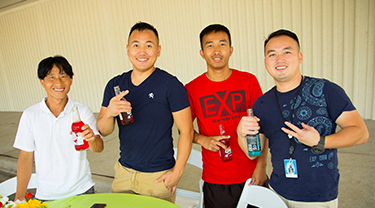 Upsher-Smith's 2016 Summerfest - While work is always a priority at Upsher-Smith, we also appreciate the importance of taking a break to recharge and celebrate employees’ hard work and dedication. The healthcare environment is rapidly changing and filled with talented and aggressive competitors. Our advantage is and will be our ability to develop diverse talent and embrace innovative solutions to meet the ever increasing business and life commitment demands. At Upsher-Smith, we believe that our employees are our greatest asset to continued success. This is why we continue to pursue creative solutions to enhance the employee experience. Our culture is dynamic and collaborative and we encourage creativity by providing employees choices in how they get their work done. This flexibility places our employees in the driver’s seat of their careers, and fuels our ability to do more good for the patients we serve.